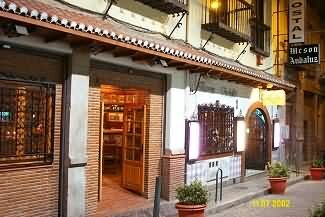 Meson Andaluz is a typical Spanish restaurant which is popular with tourists and is just off the Calle Elvira. It serves simple, well-prepared food and has various set menus at reasonable prices. It has a good efficient air-conditioning sytem if you fancy cooling down. Not haute cuisine but simple, well-cooked dishes at reasonable mid-to-low prices. This restaurant provides good food at good prices, it is good value. I would recommend it to anyone. The tapas portions are not small, so do not over order! The staff do not have much English but they make up for it by being helpful. 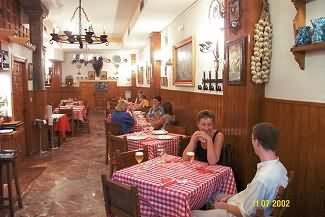 My wife and I ate here while visiting Granada, and we were pleased with the choices available in the menu as well as the service.